When God sends a words of reconciliation to your marriage it often thought of as a rapid response from heaven, and in most cases the wait can seem impossible when God is not moving as you think that he should. But what you have to understand is that the things that God is turning around in your marriage has patience invovled, with God working in eternity you can not fight against what needs to happen. Over the summer in 2018 my marriage was going through a hardship of trust issues, lack of care, and lack of respect on my end towards my husband. He kept asking me to change, and I kept feeling like he needed to change, and not myself; so as things started to go further down hill I begin to see him less, and less to the point where he stop coming home, and when he did come home it was onlty to shower , and get dressed for work, and at this tie I was trying to change the beat of the drum when it came to how I taklk to him, and how i treated him as a man. I was doing all the things that he was asking me to do when he was still in the home before it got extra, and out of hand. By then it was entirely way too late he check out mentally, and I was left feeling wrecked in my own feeling uncertain of what, and what would become with the rest of my life. I thought I was going to move through life following a path of my own, but then God started talking He gave me the secret sauce of how to fight the good fight of faith where m husband soul. 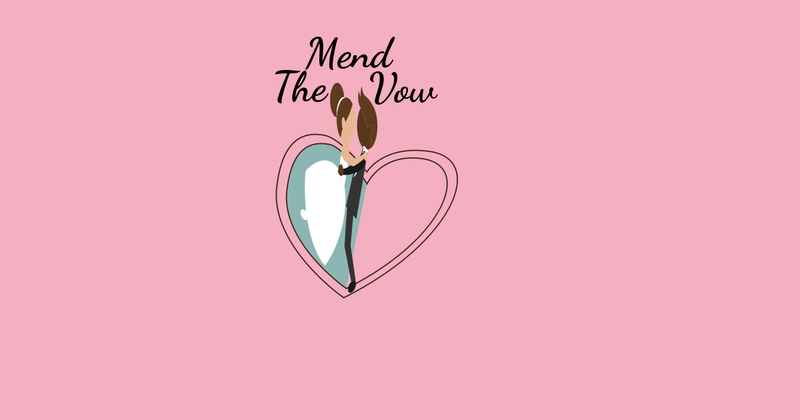 He instructed me that my marriage was in shambles, but the key to the promise of my marriage was through my total obedience; so as my husband was out of the home, and not checking for me God begin to slowly get my attention when He told me to go on a 21cday fast not just for my marriage but for marriages all across this world. I was in no place to fast on behalf of someone else’s marriage in the thought that formed in my mind, and i realy did not have enough strength to jump on a fast that would require my undivided attention. Honestly all i wanted was my husband, but God pursued me some more, and i stp saying no, and as the days went on my heart grew a little more hopeful concerning the hopes of being reconciled back with my husband, and having a loving, and happy marriage. I know that the road to this path was not going to be a easy one; so I was learning as God was leading my feet to move in the direction that He was laying for my feet to travel on. It began with a yes Lord, and a small amount of faith that was all I could mustard up after crying for weeks over the thoughts of me loosing my husband, the one person that I knew God sent in my life to love me. But God was revealing so much more in me that i knew, and it would take a matter of six months of praying, fasting, and standing to see the full plot that the enemy tried to cover my husbands eyes with. See what we as wives do not understand is that we have the spiritual authority to pray against what tries to form in our husbands lives, and in, and round about in our marriage. August 2018 is where God showed me my strenth in the familiar places of how to pray in the mind the things that bind us apart, and when He commanded me to stop looking just at missing my husband, and trying to just fixate on my marriage a real light blub went off in my head concernig the bigger plot of the enemy he not only wanted to distance my husband from our marriage but he wanted his life. i really started to war in the spirit, and as God started placing people in my life to fight with me I begin to build the spiritual gates around me that would deny access to the enemy. October 2018 taught me how to uncloud my judgement, and how to get out of the way of God by not doing what He can ony do on behalf of my marriage. i learned the errors of my ways, and I fell a lot of times in trying to make my husband come home. I paid his car not, and I was still paying his cell phone bill kafter God told me to stop trying to make him stay. There was a lot of things that God wanted to do for both of us in this time apart, and I had to learned this lesson the hard way. November had to be onek of the hardest months for me as a wife it had been close to weeks since i had laid eyes on my husband, and I never thought that the day would come where I had no psychical control in not being able to roll over in bed to cuddle up to my husband. i was so vexed inside my spirit of the ways that I thought on of how I talked to him, and how I pushed him away. December is where i matured the most in God. i felt the turn around in my favor when I really let God lead my heart back to the heart of Him. i had no errors, no fault finding where my husband was concerned, and for the most part I was so ready for him to return home but I knew that I had to wait for God to sound the alarm in heaven, and for Him to open the door for my husband to come home. Now the waiting is coming to an end. Whie God is still dealing with my husband, and tearing down the rest of the enemy camp I am rising up givig God thank for all that he has taught me, and for all that he is doing and will do in my marriage. You can not just sit unprepared, and without expectation you have to really address you own fault, your own issues, and your own insecurities while being ready to fight like a woman of God who will not allow a strang woman to play house with your husband whom God has given you for a lifetime. 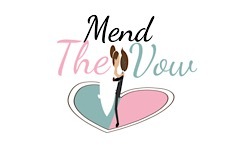 January 11, 2019 Jereè Black Mend The Vow ChroniclesBefore You Give Up On Your Marriage Read This!!!!! The life God has for. you is awaiting on your obedience to Him! I found out this year that things were not cut out to go my way, because when I did things my way I failed every time, and when I felt defeated the enemy ran all up, and around in my house. I was so tired of settling you bites of freedom to find peace, love, and endurance to stay focused on my Kingdom purpose. Without God will effectively work for you! Are you tired of doing things your own way? What are some of the thing hat you struggle with? Are there times where you find it hard to lean totally on God’s shoulders, and just cry out to Him? Many are the afflictions of the righteous! Sometimes when the storm seems so hard, so dark, and so not worht the fight there arrives the renewed conpassion that God places on the heart of those that He will not let lay down without a fight. You know God loves for His daughters to better themselves in Him by seeking his wisdom through His word. There are many things that you can apply to not go into the new year the same. Read this to learn more! Thank you for lefting our eyes from the rest of our sleep to be apart of this days that you called us to. Today how can your daughters serve you with their pure heart? Is there anything that you want us to focus on that will bring joy to your heart? Needing to ask for not one thing because you have already settled the score concerning what we have before you. Today let your love speak over us, and pull us through into a new passage in our journey. I stand in the gap for your daughters as they are strarting the fight to make a conscious decision to make you the number one priority in their lives. May you heal us for what we survived, nay you wash us from our stained past, and may you enclosed our heart with healing for this journey to help other women when their victory in you. I pray these things in Jesus name. Amen. Becoming a better woman is more than just a saying it is a way of living, and becoming a better woman. I had to evaluate myself, and the many people that wee in my life, and I had to ask myself who was apart of my issues, and who were the foundations of my strength in building lasting friendships, and relationships in my family. <The one things I looked at was communication in all areas of my friendships, and what I brought to the table, and what they were lacking in these areas that I was bringing to the table in these friendships. I then begin to gather different strengths in what kept me holding on to friends. 1. Was it time spent? 2. Was it the comfort that they brought to my life? 3. Was I settling in just the area of having friendships that did not bring substance to my life? Once I place this list in the front of my mind I had to challenge myself in ways that I normally would not think to do. Why? because I do not like unfriending people in my personal life, and I’m not talking about just on social media I am speaking of disconnecting all the way in real life with them. Now I want to first state that they are not bad people it is just a decision for my personal growth in my personal journey. Everyone does not see the same outlook on life as i do, and they are not meant to go to my next level of life with me, and this is something that I had to realize on my own. There comes a time when friendships outgrown the journey, and there comes a time where it will hurt to say farewell to that friend, but you have to place your purpose above the feelings that you currently feel on the inside of your heart. When God begins to level you up there are two road that you must cross to make it to His level of purpose. You have to set aside any dead weight that is going to bind you to your past, and you have to come to grips that it is for the making of yourself purpose. Next you have to accept that what God is doing in the making, and breaking of you internally is not meant to harm you but to shape, and make you into what he Has purposed you to be. 1. Stir up your prayer life, and get a deeper relationship with God. 2. Filter out the baggage that you have been carrying around by dealing with the emotional issues of your past. 3. 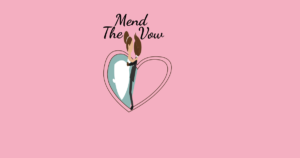 Mend fences in your life by learning how to effectively forgive the people that hurt you. 4. Take a leap of faith, and confront what hinders you from stepping into your purpose. 5. Apply your skills to become your own boss. 6.Take your hobby to the text level by inviting friends out to join the fun this will help you become more social while deepening your Godly friendships. 7. Learn when, and why you are saying no. 8. Discover new places in your city. 10. Shower yourself with one gift per month when you meet you goals. 11. Take a college course to better yourself. 12. learn the meaning of clear communication in your marriage. 13. Believe above all else that you are worthy of the calling on your life. 14. Remind yourself that your past did not bruise you it bettered you as a woman. 15. Become apart of a support group to help you with things that you currently are going through in your personal life. 17. Settle the score in your finances by budgeting your expenses. 18. Take time to breathe, and learn to love yourself more. 19. be the peace maker in your home. I pray that this 19 steps to becoming a better woman will help you to stay more focused in marriage, ministry, and most importantly in your relationship with the only living God. For days now i have been feeling really low in my spirit, and I have really sunk into this uncomfortable pit. Why? Because i miss my husband badly, and this seperation period is ripping me apart, I cry over it, I fast during it, and i pray to fight while standing in the middle of opposition. The days seem longer than ever before but the nights seem to roll by as I sleep wake up and scroll through my phone to avoid falling asleep again. In my body I feel emotionally drained, and I finally get the courage to text my husband to let him know that I have been thinking of him as of late, and moments later no text, hours fade by still no response from him. My strength begin to fail me while I wait, and the sadness deepens within y heart, but God is a keeper of His promise, and His love for me. every moment that I would feel like breaking down again God sends me me a direct scripture to renew my strength in Him, and for the fight to stand for my husband no matter what this storm is showing me in the natural. It get tough when the night fall comes to know that I can not reach out for him, and it gets the toughtest when i have to take out the trash, because my husband would always do that chore around the house. This is the reality of things in my household for now, but it is not the end of what god is doing in my marriage. 5:30 A.M this morning my alarms goes off, and the first thing I hear God speak to my heart is blog! this is the face ? I have concerning that. I thought with all of the emotions I am feeling how come you desire for me to spill my emotions of a blank canvas, and here i am stank breathe crud still in my eyes, but God. I am realizing the measure of my obedience pleases god more than my whining does. Can I be real, and very transparent? I was doing everything but sinning to make sure that My husband was taking care of. Read more here! I know that i had to level up in my strength not to give into the things that would keep pacifying my husbands needs this is where God stepped in a few weeks ago, and got on me so badly. i was wrecked in my spirit, and I felt so bad by allowing myself to be in the way of God. Have you ever been there? Getting me together in this dicomfort to a place of just rendering my yes to god even at times where I do not want to say yes to Him. ? ?‍♀️ There is something about enduring in the wilderness that really makes looking at other peoples lives while at the same time wanting to weep becaause you know they need more deliverance, and you are going through without your spouse. Yes I’m going there but not living in comparision but in the norm of thoughts. Have you ever been there? Here’s where the meausre of truth comes in, and I begin to think about why I am feeling so stuck, and so isolated when this is not how I felt a few days ago. I miss the cruddles, the kisses, the intimacy, and I want it back but not before the work is done I have to admit that because intimacy is the desire of my flesh, and I do not want somethng undone. Cab you relate? Here’s some encouraging news God is not going to place anything on me that I can not bear, and as of this morning I am shaking off the dust to whom ever set a trap before me, because I am going to come out of this discomfort, and abide in the comfort of my Rapha because in Him are all things made new.